There was quite quickly an awareness that young women coming into the profession needed training in basic skills, whether they were public speaking and assertiveness or specific to publishing, so basic rights or understanding contracts or understanding finance, and that although some large companies provided that training it was always in a mixed environment and particularly where women might feel exposed or might not be able to speak up. So things like public speaking and assertiveness, we thought that a women-only training offer would be much better and would enable women to develop those skills. And the main thing that we offered was one-day training courses by middle or senior women managers in the business. 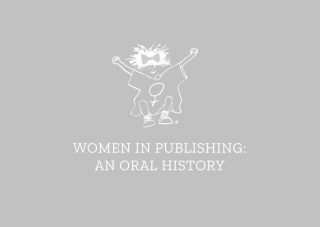 And they quickly became very well respected and I think helped Women in Publishing to change its image in the eyes of publishers and in the eyes of employers. I remember Auberon Waugh writing about us as the frizzled-haired harpies, which I always took as a badge of great honour. And I think that, you know, we started off being frizzled-haired harpies, and actually when you’re an organisation that is offering, I don’t know, 10 or 12 training sessions a year and actually helping to develop the skills of your staff, you really can’t see the organisation as being quite so weird.